My wife and I had a guest the past few days, named Stanley. Flat Stanley. He was mailed to us (on account of a bulletin board flattening him in class one day), which seems a darn great way to travel. I took Stanley out to Turkey Creek and Malabar Scrub Sanctuaries so he could experience some of central Florida’s natural world. 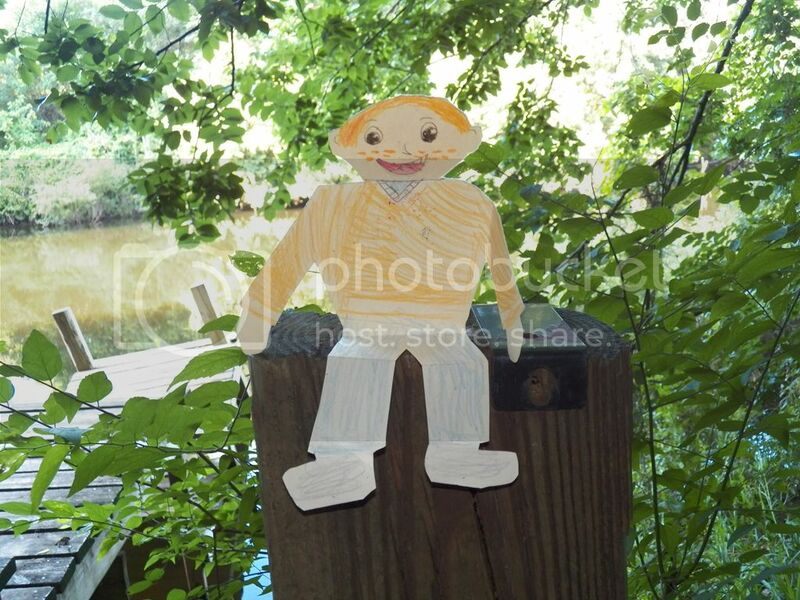 Flat Stanley chilling out by Turkey Creek. We started the day at Turkey Creek, but I had us do most of the park in reverse order from my usual walks. I started by heading out to the weir, but recent heavy rains washed most of the mucky debris behind the orange flotation barrier. This is where most of the wading birds would hang out, but there was just one Green Heron skulking along the shore. There were plenty of bird songs along the rest of the walk. Stanley and I identified quite a few birds by voice and by sight. 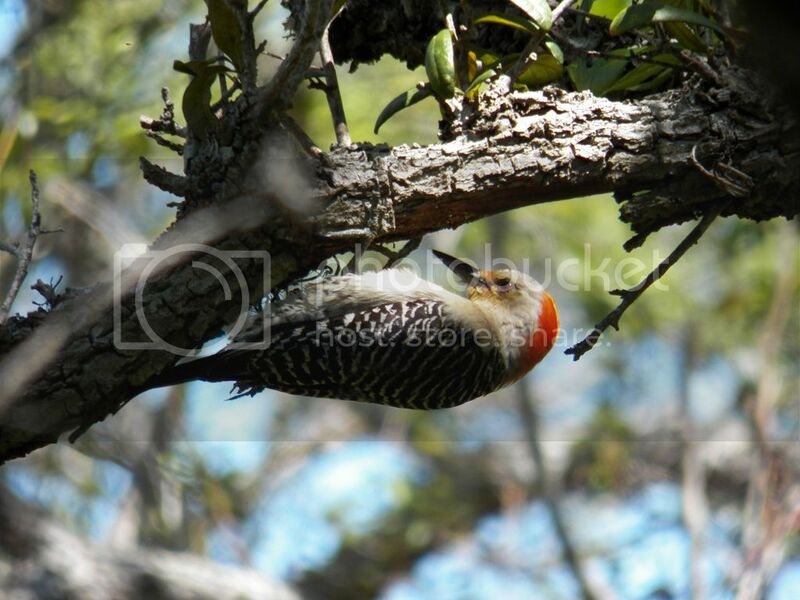 Red-bellied Woodpecker feasting on ants. After exiting via the Sand Pine Trail, we drove to the Malabar Scrub Sanctuary. Stanley wanted to do the “Red Loop Trail” and I thought that was fine. We identified more birds and even saw a large snake! About midway around the trail we came across a loud group of Florida Scrub Jays. Stanely was excited to see them, as I had shown him my photos from last week in the sanctuary. 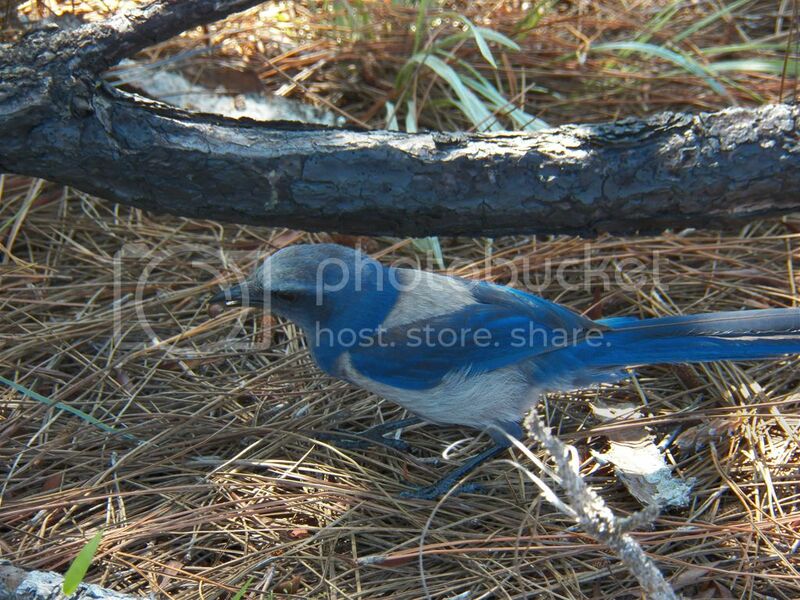 Florida Scrub Jay. Unlike last week, this was just one of about a dozen we saw in 2 separate family groups. One of the area middle schools built an educational platform in the heart of the sanctuary. Stanley and I learned a bit more about Florida’s scrub habitat and had a nice view of the surrounding landscape. Educational board showing how “flat” Florida is. The second half of the trail was through some habitats I hadn’t seen there before, with lots of scrub oaks making archways over the path, and pockets of Blue-gray Gnatcatchers here and there. Here is our list of bird species for both parks (loosely grouped by family rather than order seen). It was great having Stanley around, but he has to leave early tomorrow. We’re having him head home in style, though, in a USPS Priority envelope, along with photos and descriptions of his time with us here in Florida. Me (actual photo!) 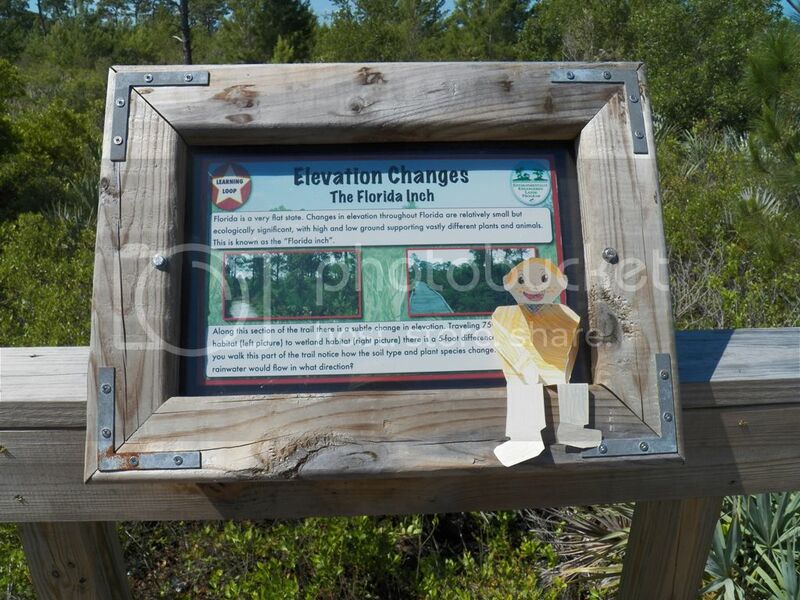 and Flat Stanley at Turkey Creek Sanctuary. 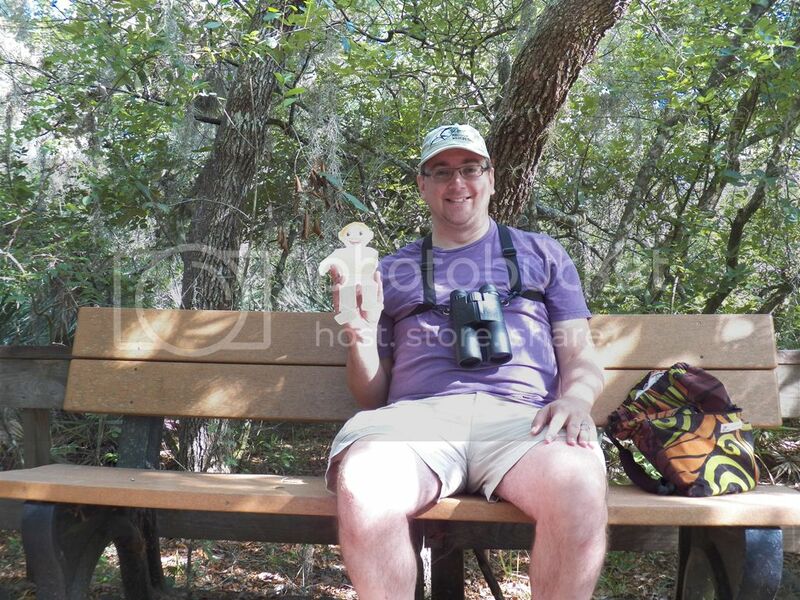 Posted on 2014 May 18 by Lonely BirderPosted in BirdingTagged Birding, birds, birdwatching, Flat Stanley, Malabar Scrub Sanctuary, Turkey Creek Sanctuary.